In the early 1980s, then as now, the world's biggest market for home computers was in the United States. It was an essential market for a computer manufacturer to crack. Although Sinclair did sell the ZX81 and Spectrum though mail order in the USA for a time, the Sinclair machines' biggest American success came about through the company's collaboration with Timex. The Timex saga came to an unhappy end in late 1983 when Timex, burdened with huge losses and a series of costly failures of its products, pulled out of the home computer market and dropped its tie-in with Sinclair. 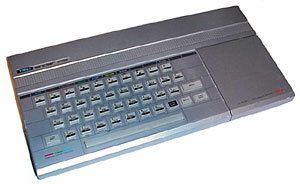 However, a further twist to the story occured when the Portuguese subsidiary produced a number of unauthorised clones of the Timex Sinclair machines (calling them "Timex Computers"), keeping the line alive until as late as 1987.